Andrew is a founding director. 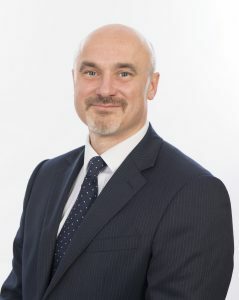 He qualified as an Isle of Man advocate in 1997 and specialises in all aspects of commercial and trust litigation, commercial disputes and contentious probate matters. He established his own legal practice in 2004 which, in merging with Richard Halsall’s practice in 2006 became BridsonHalsall. As an advocate, Andrew has dealt with numerous matters involving freezing injunctions, recovery of documents, claims for breach of fiduciary duties and professional negligence. His experience as a highly respected litigation lawyer is wide-ranging. He has appeared before all levels of the Manx Courts and additionally, before the Gambling Supervision Commission, Licensing Court, Coroner of Inquests and has acted for an interested party before the Isle of Man Government Commission of Inquiry into the Care of Young People (which followed the death of two teenagers in care in the Isle of Man). He has dealt with a diverse range of matters including claims against the police, defending health and safety prosecutions and contentious commercial property matters. Andrew also has experience in handling mediations for both corporate clients and individuals. He has represented two local regulators and also acts for various high net worth individuals. acting for the successful applicant in Re Betsam Trust  WTLR 1489 in which a trust was set aside as a result of the mistake of the Settlor.